Cavity dimensions are 1 1/4 by 1 1/8. 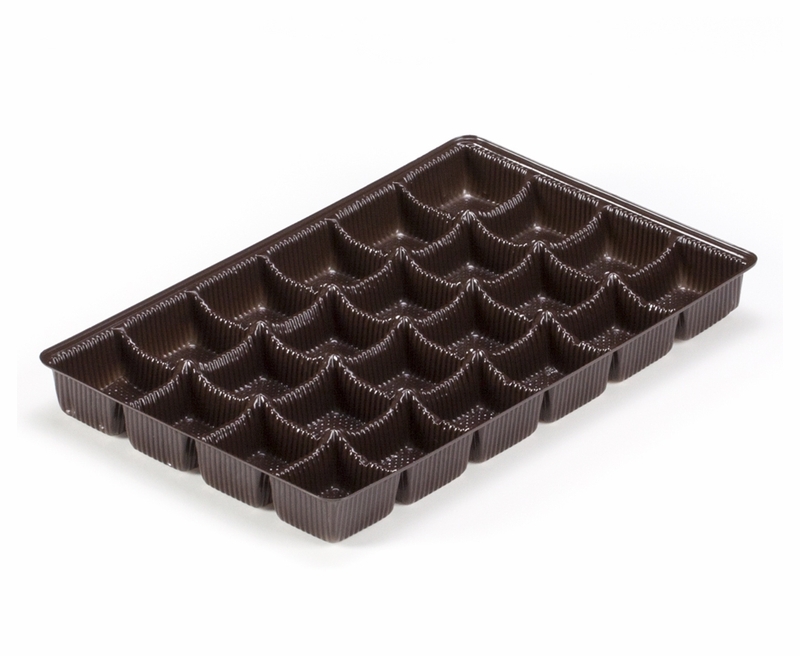 Fits 2 dozen mini chocolate covered OREO� cookies. what are the dimensions of each actual square? Hi Chris, The dimension of each square/cavity is 1 1/4" x 1 1/8.